Regarded as one of the most trusted Newborn Care Specialist, Amber Gilmore has been applauded for her contributions as an infant & child sleep consultant and postpartum doula specialist. Atlanta, GA – April 3rd, 2019 – Several sleep case studies have reported more than half of parents (approximately 52%) suffer from sleep problems of their own due to their baby’s lack of proper sleep. In fact, a case study on baby sleep reports that around 25-40% of kids are likely to undergo sleep problems at some stage during their childhood. Yes, sleep problems in infants and small children have been a prevalent problem, one which Newborn Care Specialist Amber Gilmore is committed to solving. The popular certified trainer from Atlanta who runs her own newborn care firm, Creative Nurturing LLC provides great assistance to the sleep-deprived parents through her private, in-home and nationwide services. Amber’s proficiency in training the child for restorative sleep, which tops the list of 4 most important parts of human life, has drawn applause from multiple parents and her sleep plans are said to be precise and meticulous. In addition to providing infant and child sleep training, Amber is also a qualified postpartum doula, a service which covers evidenced-based information on things such as infant feeding, emotional and physical recovery from birth, mother-baby bonding, infant soothing, and basic newborn care. Experts have always believed that moms and dads have an easier time when provided guided infant experiences during child development and Amber is the living proof of that. To know more about the services offered by Creative Nurturing, please visit www.creativenurturing.com or contact Amber Gilmore directly at 404.267.8887 ext. 800 or email her at hello@creativenurturing.com. 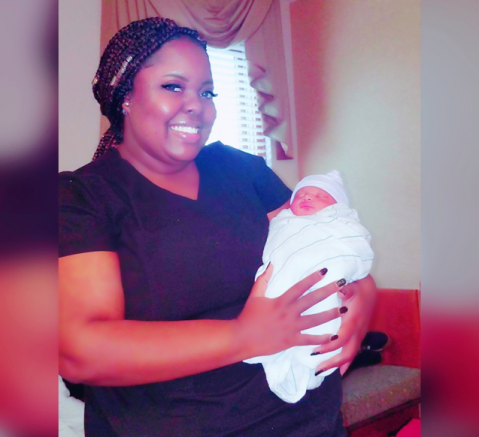 Be the first to comment on "Popular Newborn Care Specialist Amber Gilmore Getting Rave Reviews From Clients"